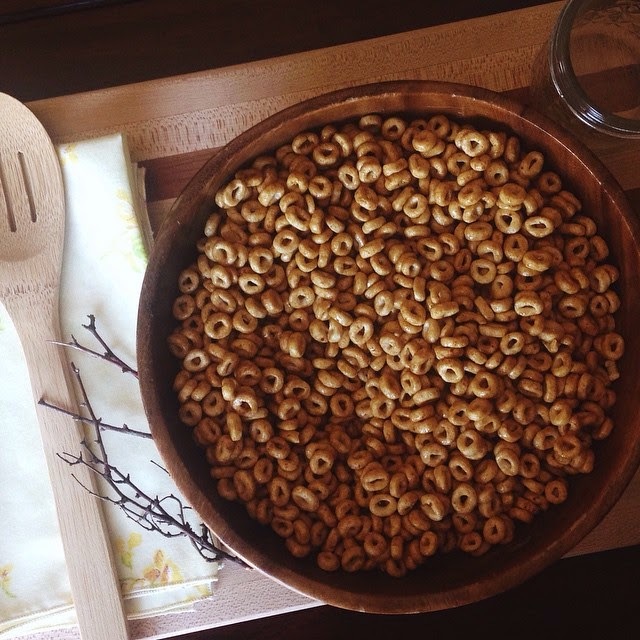 A few weeks ago I posted on Instagram that I had made homemade Honey Cheerios for the kids. My kiddos absolutely love that cereal, but I did not like all the yucky ingredients the box listed, so I decided to try my hand at recipe making. I was so excited that it turned out great! There are only a few ingredients and those ingredients are some I am fine with my kids eating in moderation. I hope you will try this recipe and let me know what you think of it!!! Pour the cereal into a large bowl. Combine the last 5 ingredients in a small sauce pan and heat while stirring. Once they are all combined and the sugar is dissolved, pour over the cheerios and mix. Mix until the cereal is coated evenly. 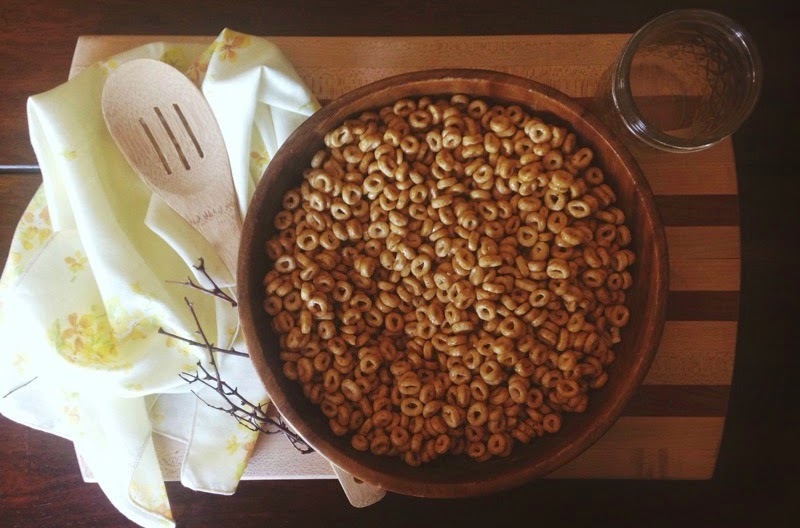 Dump cereal onto a cookie sheet and place in a preheated oven (200 degrees). Allow to bake for 30 to 60 minutes. Once cooked, remove and allow to cool on cookie sheet. Break the cereal apart and place in a storage container. You are done!